We can provide advice on the choice of business medium (e.g. sole trader, partnership, limited company etc). We can also provide advice on all aspects of the accounting and administration requirements of your business. 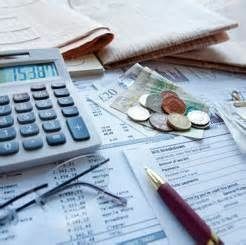 We can provide advice on the choice of accounting and book-keeping methods, including manual or computerised accounting systems and can assist you in the design and implementation of your accounting system, tailored to your specific business requirements. We can assist in the formation of limited companies including providing advice on the set-up of the company, issuing shares, appointing directors and company secretaries. In addition, if your company is registered in Scotland, we offer a Registered Office service to enable the use of our address as your company's Registered Office address. The main advantage of this service is that all Companies House correspondence and returns are sent to our office, which enables us to deal with them without delay, or the requirement for you to send them to us to deal with. We can also provide advice on the duties and responsibilities of directors and company secretaries, including providing assistance to the company secretary in maintaining your company's statutory books, completing Companies House Forms and Returns, and filing them at Companies House. We can prepare Cash-flow Forecasts and Projected Accounts for budgeting purposes, business lending purposes, government grants and for inclusion in business plans for new projects and ventures.